Collecting payments and accepting credit cards online can be a dream come true for many Parent Groups. Imagine, a mom can pay her PTA dues after the kids go to bed, in her comfortable clothes. A dad can order tickets for the PTO Carnival after the house is quiet and everyone is asleep. Grandma can donate to the PTSA from her own home. Digital PTO offers a wide variety of ways to collect payments online through your own website. There are two plans that have payment processing enabled, the Premium Plus Paypal Plan and the Premium Plus Credit Cards Plan. You must be a member of one of those two plans to have access to payment processing. Payment processing can be added to any form in your form library with just a few clicks. The Premium Plus Paypal Plan option only offers one payment option, Paypal. This is a great option for schools that want to explore payments but are not sure how many families will participate as well as for schools that have many families that are used to paying with PayPal already. In addition to Paypal, there are two ways to collect credit card payments. The first option is to use Stripe as your payment processor. Stripe is a service that allows you to seamlessly collect credit card payments on your website without the need for a traditional merchant account or the associated monthly fees. 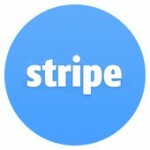 Stripe charges a fixed transaction fee (2.9%) and a small per transaction fee ($0.30) and that is all. There are no monthly fee’s, no additional accounts needed. No minimums. No nothing. Best for Parent Groups collecting less than $20,000 in online payments. To summarize: 2.9% + $0.30 per transaction. Period. The benefit of this payment option is that you only pay for processing when you process something. There are absolutely no recurring or hidden fees. The downside is that the Transaction Fee is higher than you would pay with a traditional merchant account. But again, there are no monthly fees. There is no need to pre-apply for Stripe. Once you sign up for a Premium Plus Credit Card Plan, we will guide you through the quick setup. The second option is to use a Traditional Merchant Account. You will receive an extremely low rate of only 1.99% as your Transaction Fee. This method requires that your group apply for an account with our partners at Capital Merchant Solutions and they will set you up with the Authorize.net account that will work with our system. 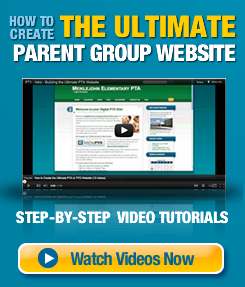 Recommended for Parent Groups collecting over $20,000 in online payments per year. The benefit of this payment option is that you have a low percentage rate, so if you are collecting a lot of payments, this is a great route to take to save money. The downside is that there is a monthly minimum fee (around $26) regardless of whether you collect payments. Again though, if you collect a lot of online transactions, the monthly fee is saved with the low percentage rate.